Our 10th Anniversary poster is perforated and breaks into spoke cards and a wrist/arm cuff that we want you to wear to opening night. 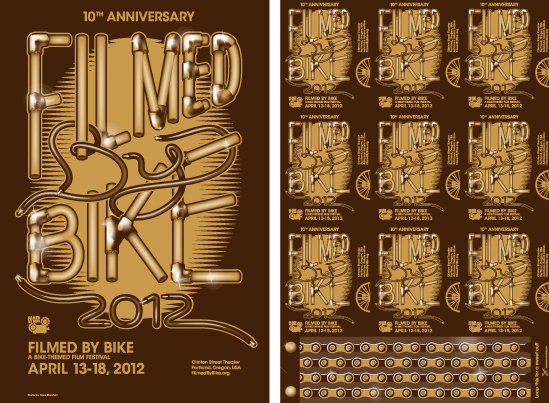 Every year we work closely with Stumptown Printers to create a fine poster. Using printing presses so old they have soul, Stumptown Printers creates an amazing piece of work. 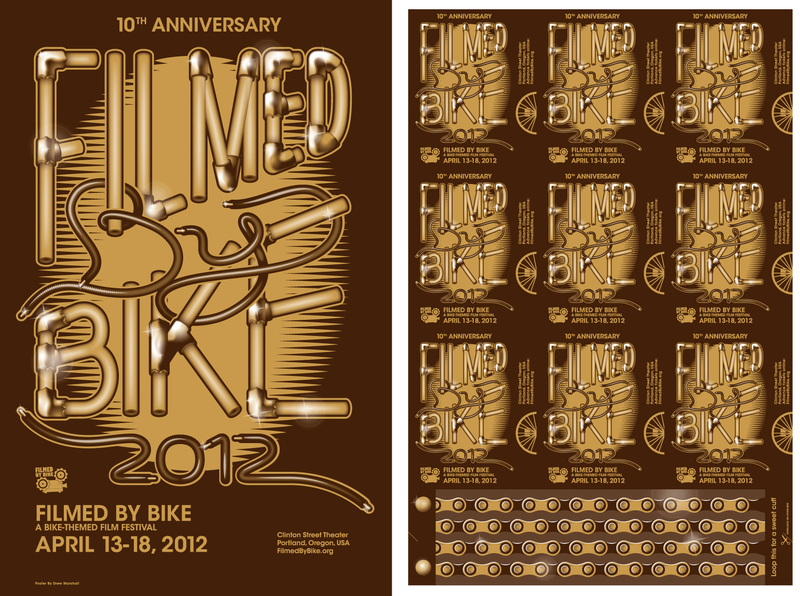 This year’s poster was designed by Drew Marshall.